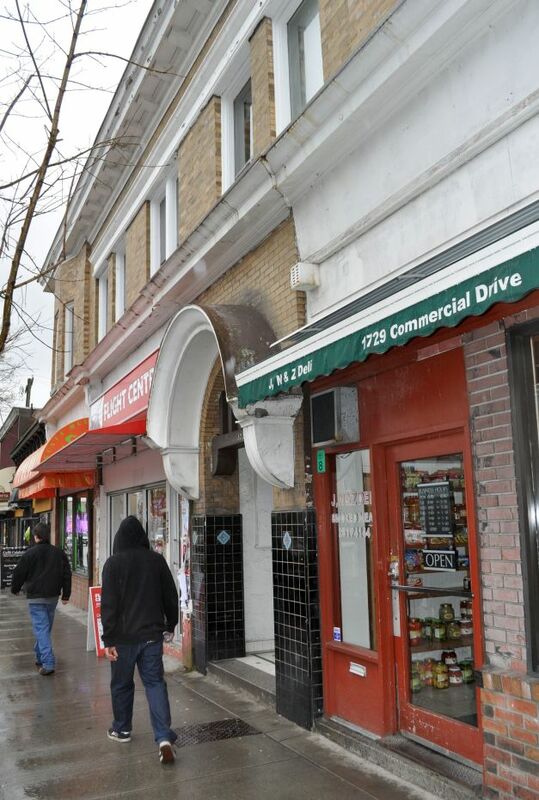 Over the past year, the City of Vancouver has run an intensive community planning process in the Grandview-Woodland area, which is centred on the Commercial Drive urban village. It’s a more elaborate effort than most municipalities would venture. However, it ran into trouble recently when residents claimed they were blind-sided by a proposal to build towers around Broadway and Commercial. The City of Vancouver is often acclaimed as a North American leader in the creation of successful (at least in real estate terms) tower-heavy neighbourhoods such as the West End, Yaletown and Coal Harbour. However, there are online rumblings from those who argue that future densification should be less drastic and more dispersed. One obstacle here is that many communities, especially the more affluent ones, refuse to accept any densification at all. This leaves City Hall with a limited range of development choices. 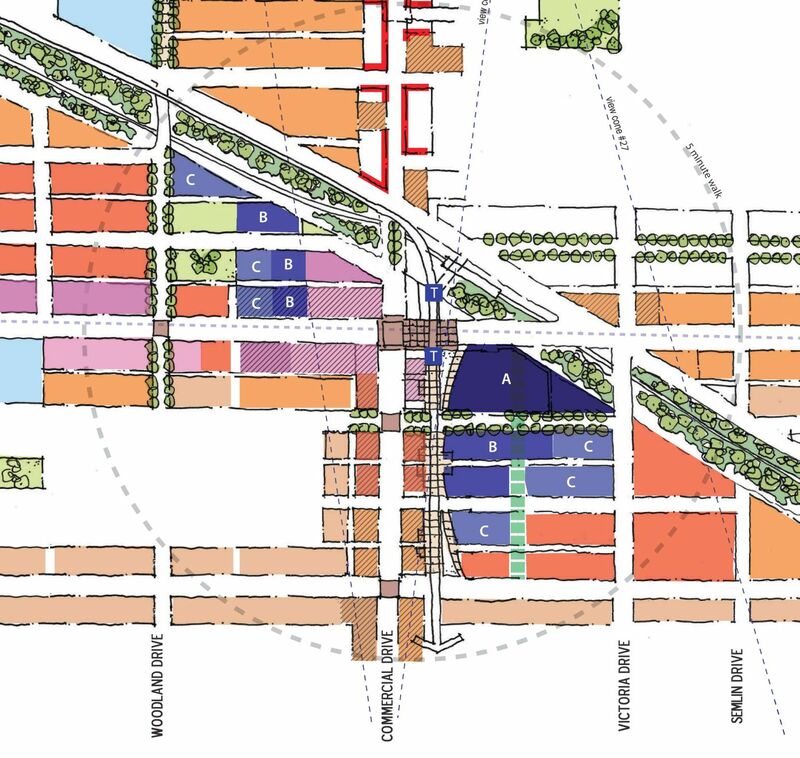 The City’s “Emerging Directions” documents for Grandview-Woodland, unveiled in early June 2013, are indeed startling, proposing an almost Metrotownish concentration of towers to take advantage of the Broadway/Commercial rapid transit node. The parcels marked “C” in the above rendering could be built as high as 22 storeys; the “B” lots could go as high as 26; and “A”, the Safeway site just east of the transit station, could rise to 36 storeys. After considerable blowback from residents, the City disclosed that it would step back from its tower proposals and seek more input from residents. A July 6 workshop to visualize the future of the Broadway-Commercial precinct was fully subscribed a week in advance. About 90 people, including my sister Morna, attended. At the end of the session, planners took pictures of the different arrangements of foam blocks at each table, and will come back with new suggestions for Broadway and Commercial over the summer. 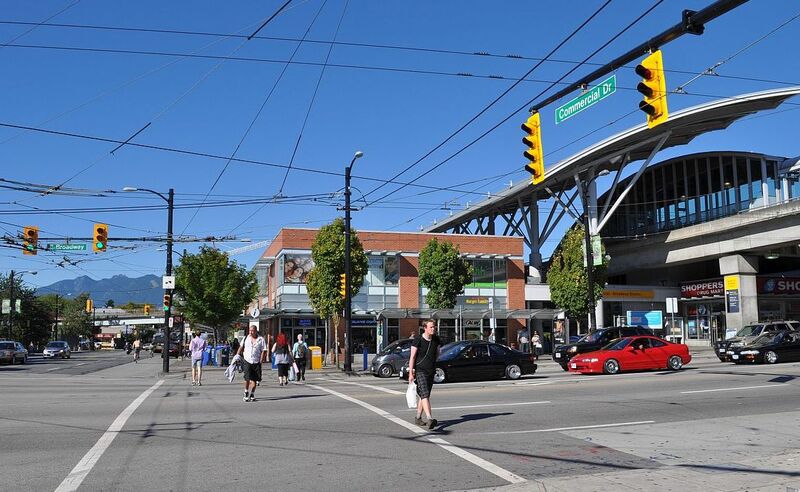 The “Emerging Directions” concept leaves the existing zoning for most of Commercial Drive untouched, from the transit line north to the Brittania community centre. A 15-storey tower has been proposed for Commercial at Venables; this idea may also meet serious resistance, even with the inclusion of an existing social agency. All in all, the amount of new housing capacity forecast for Grandview-Woodland is modest in the regional context, even in the extreme scenario. By my interpretation of the city planning fact sheet, a sort-of-status-quo trend would add 2,300 people to the existing neighbourhood population of 28,000 by the year 2041; a “go for broke” approach to development would admit an additional 9,000 people. The regional government authority estimates that Greater Vancouver will absorb about 1,200,000 new residents over this period.